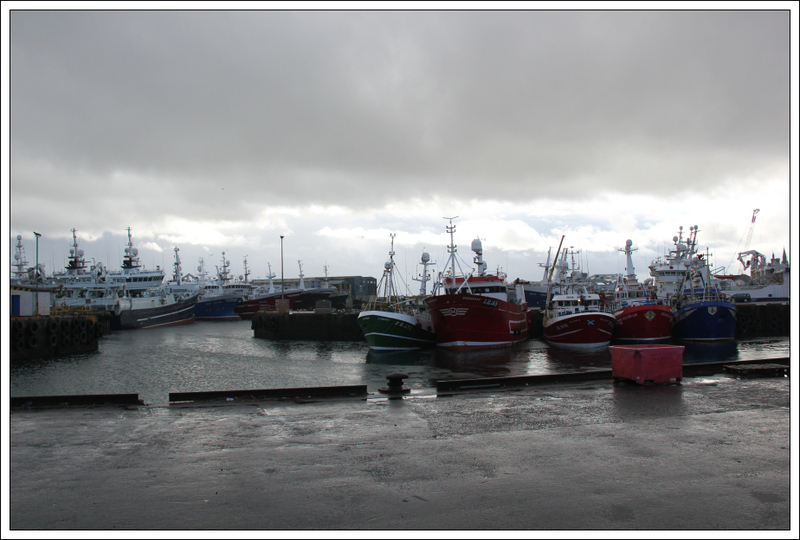 The mountain weather forecasts for today were not great but I was still keen to get out for a walk. 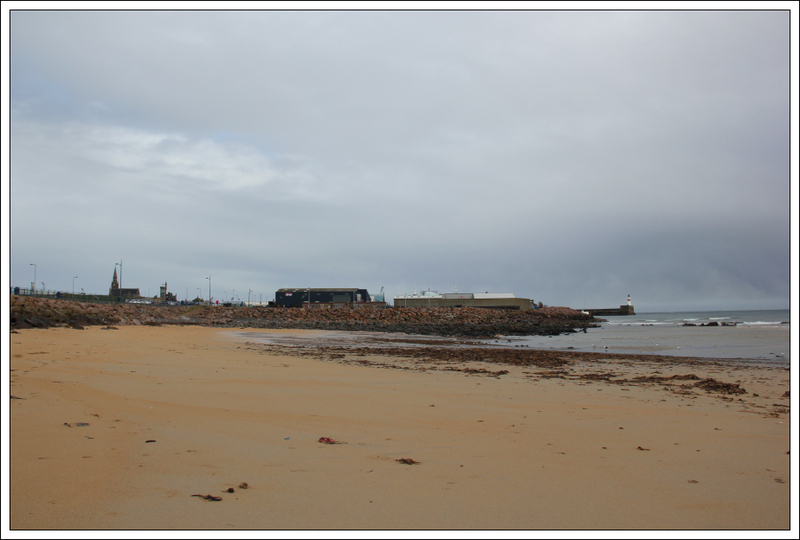 I therefore opted to walk a short section of coast at Fraserburgh. 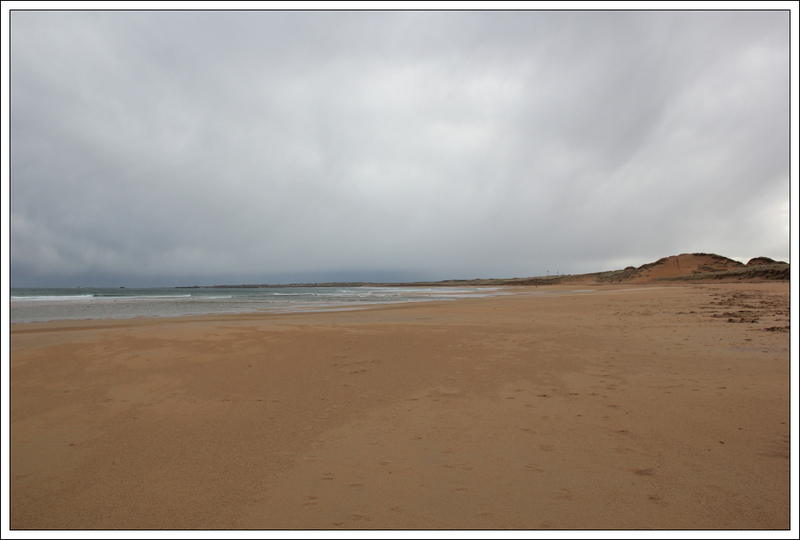 Over the past few years, I have been walking various sections of Moray coast and Aberdeenshire coast generally when the weather is not so good, or I can’t be bothered driving far. 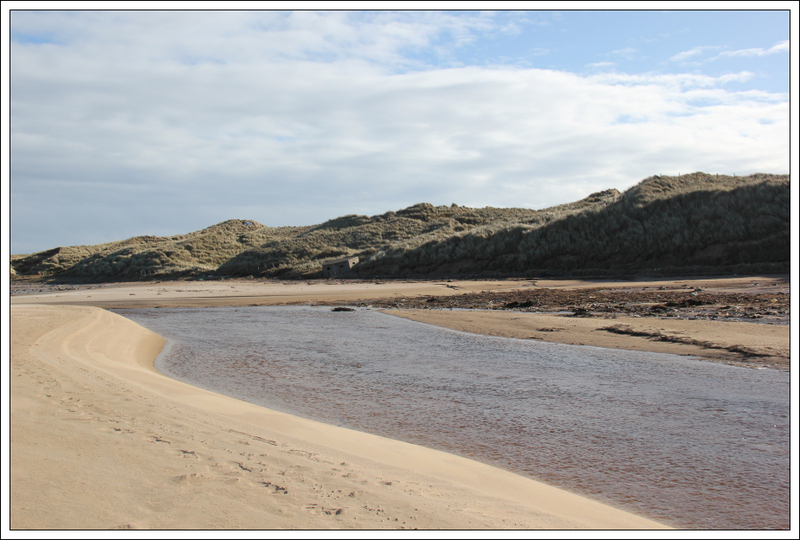 Today, I come up with the idea of walking the whole coastline between Aberdeen and Inverness. 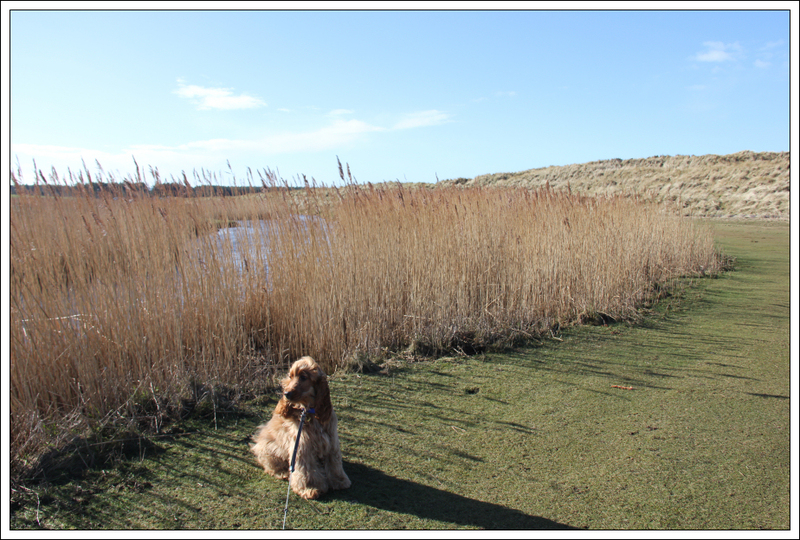 I think I have walked just over one-third of this coastline to date. Always good to have a plan . 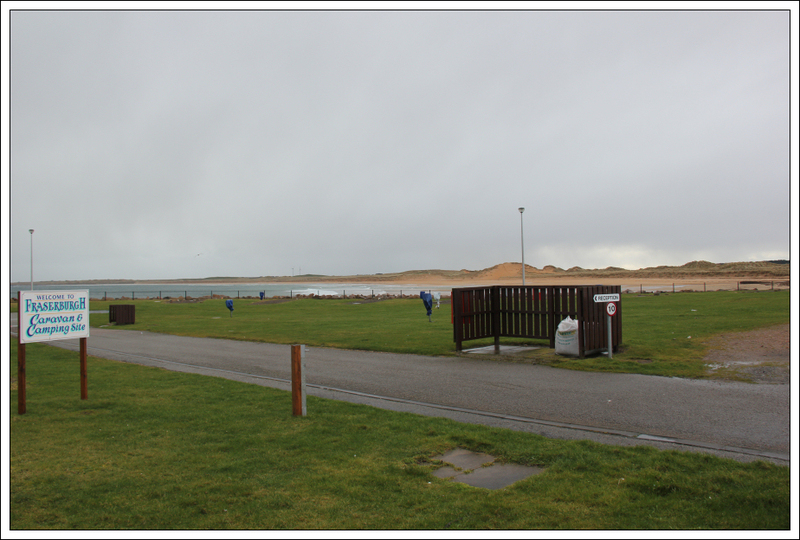 For today’s walk, I drove to Fraserburgh and parked at the Fraserburgh Heritage Centre / Museum of Scottish Lighthouses. 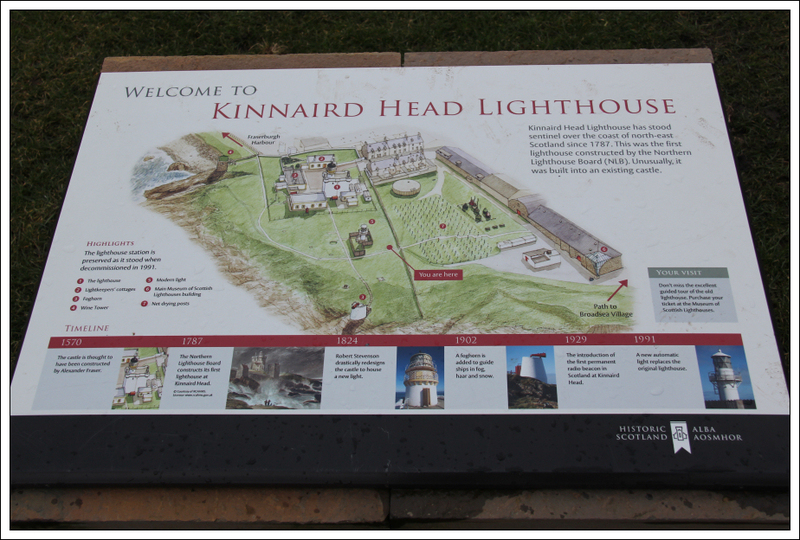 Kinnaird Head is a very interesting area. 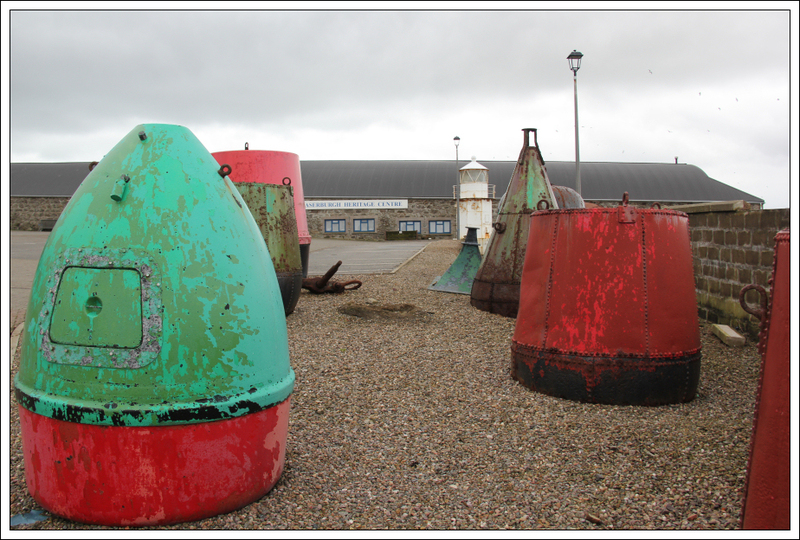 A number of old buoys are located outside the museum. 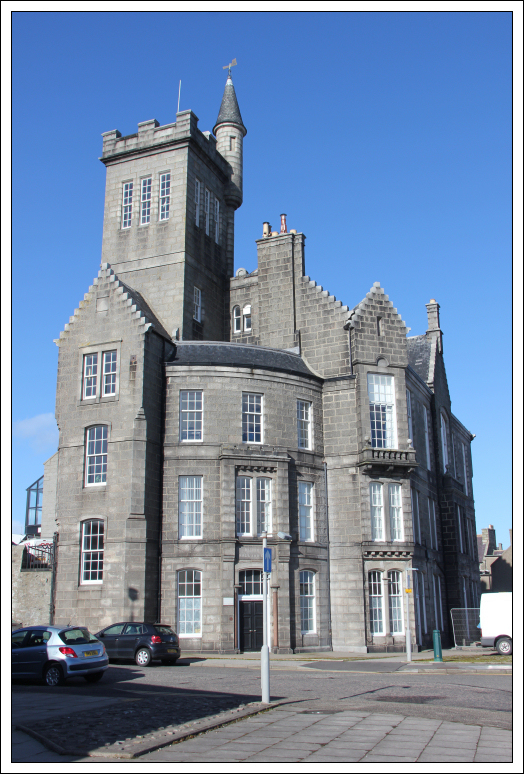 The castle is thought to have been constructed in 1570. 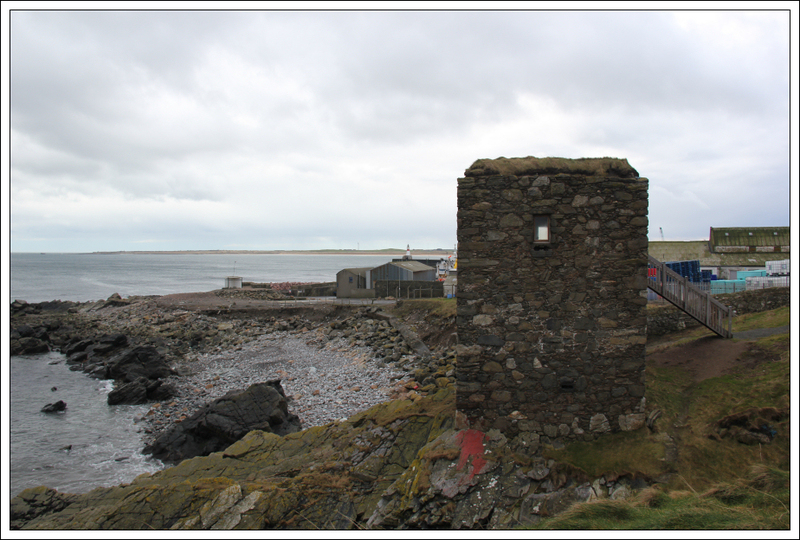 The first lighthouse was constructed there in 1787. 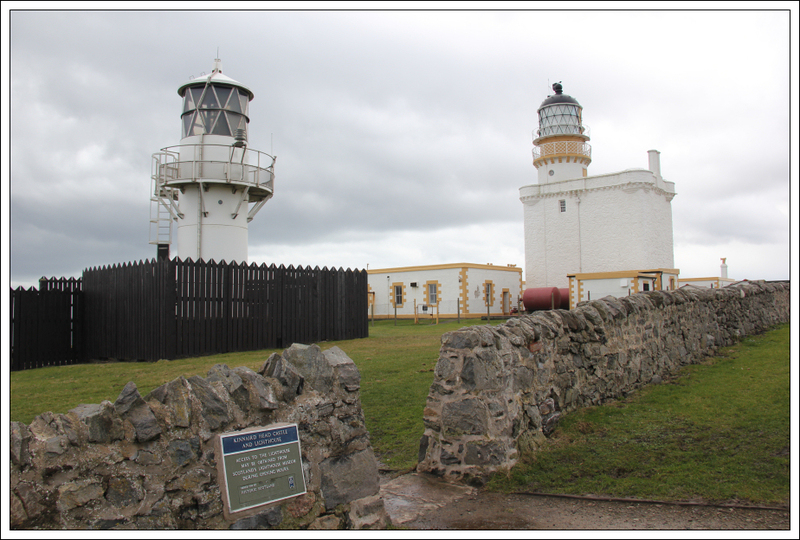 Robert Stevenson redesigned the lighthouse in 1824. 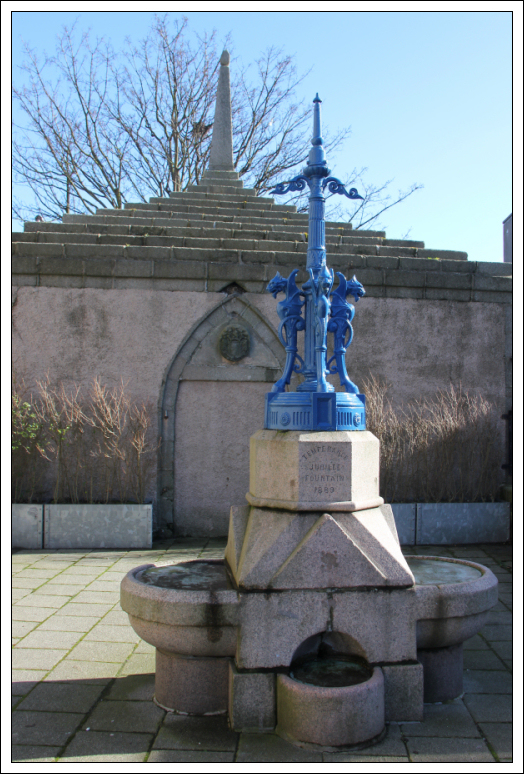 A foghorn was added in 1902. An automatic lighthouse replaced the original lighthouse in 1991. 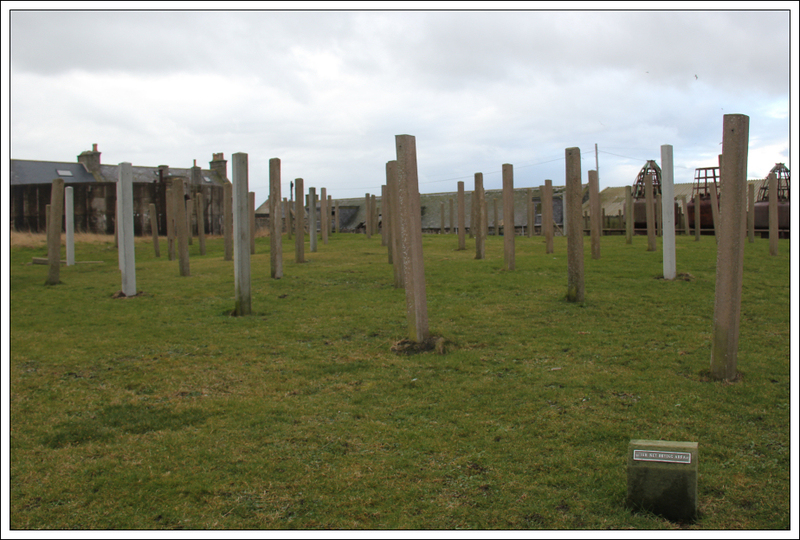 I didn’t know what the poles in the next photo were for until reading the small sign. Apparently they are for drying fish nets. 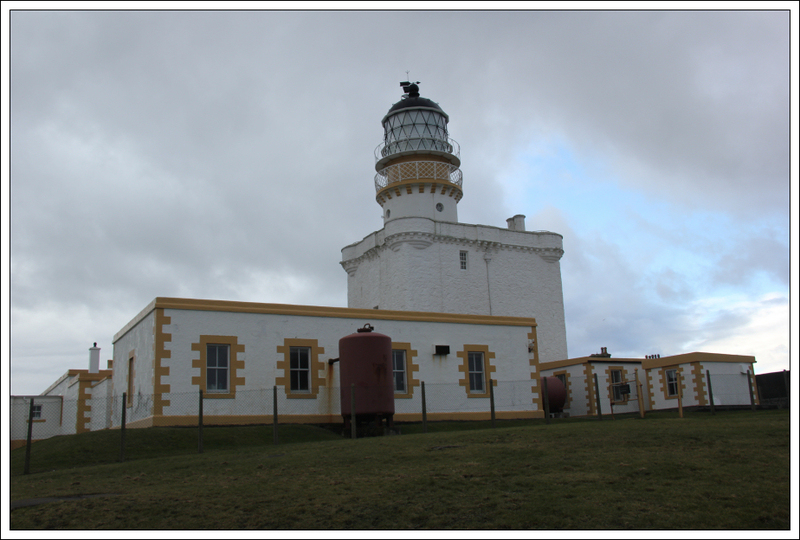 I assume the Kinnaird Head foghorn is now defunct as per the foghorn at Nigg, in Aberdeen. 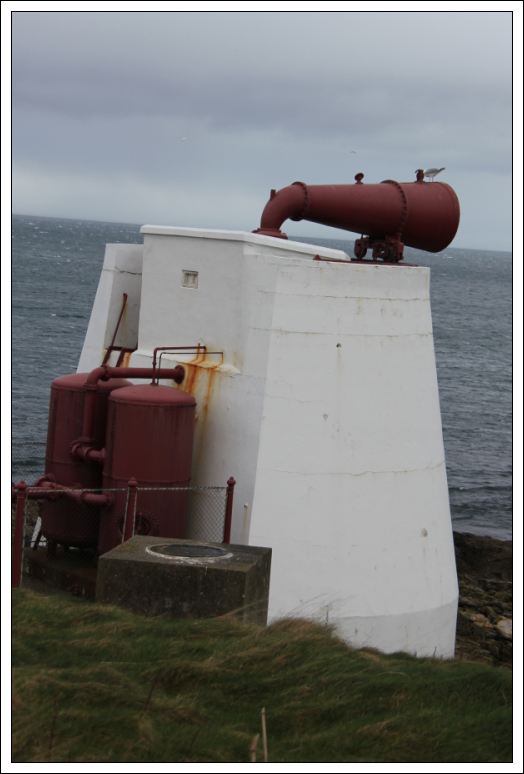 As a child, I remember hearing the Aberdeen foghorn. The Wine Tower was built in the 1500s. 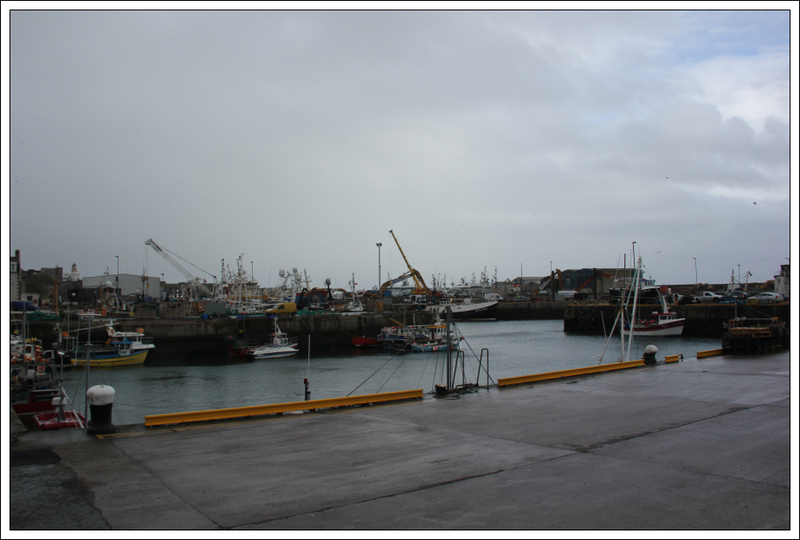 The exact date and function of the building are unknown. 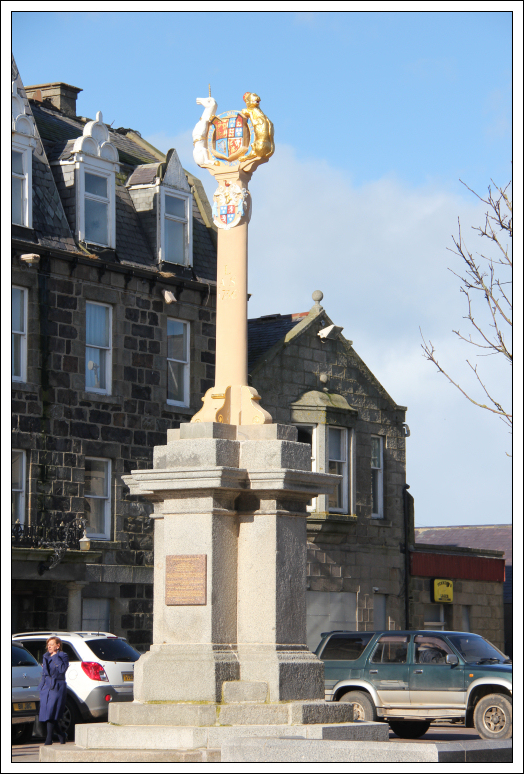 The name “Wine Tower” is probably misleading as it may have been part of a residence or part of a Customs house for the harbour. 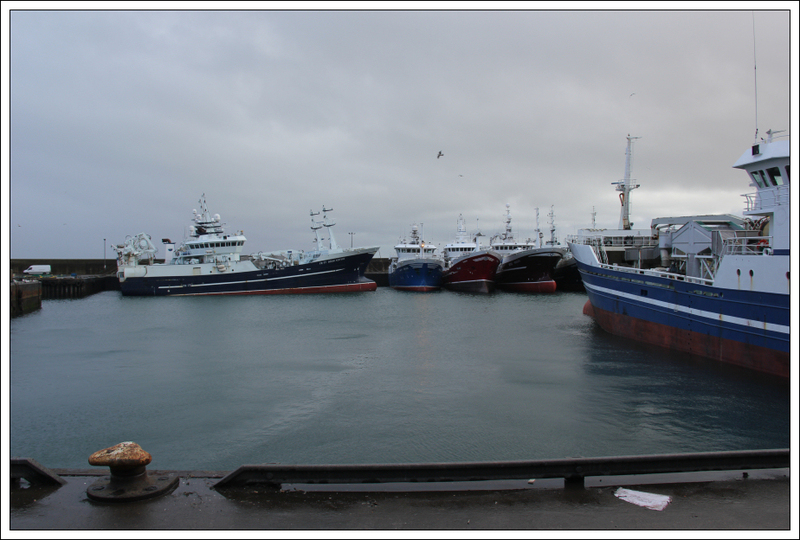 On reaching the harbour, I had a walkout along the Balaclava Pier until noticing that you are not meant to drive or walk along it without permission. I therefore doubled-back and made my way round the quays. 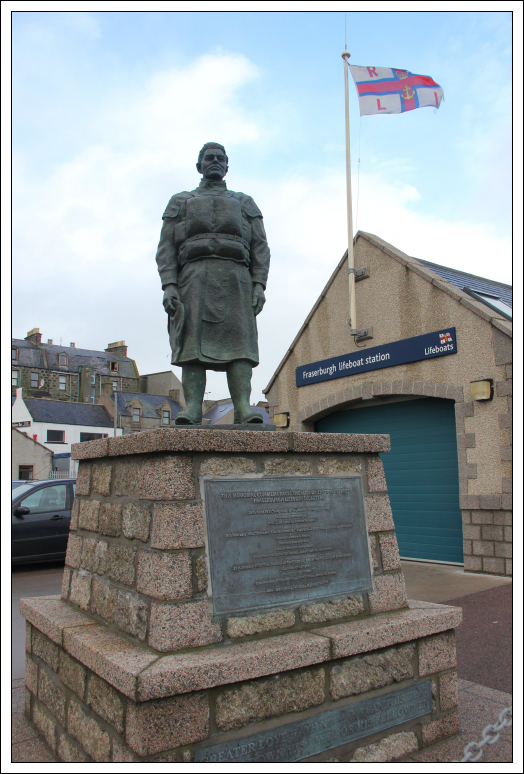 On reaching the Lifeboat station, I stopped to take a photo of the memorial commemorating the loss of thirteen crew in three separate Fraserburgh lifeboat accidents. 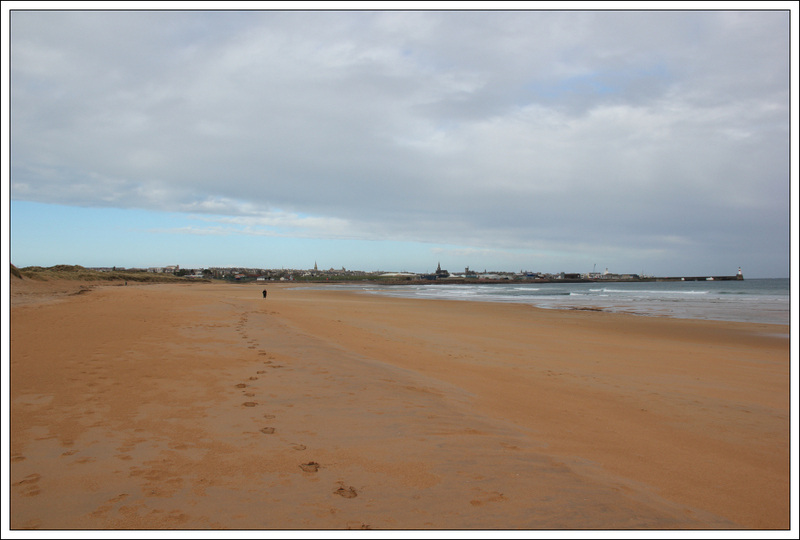 I next walked down the street until reaching an access point for the beach. 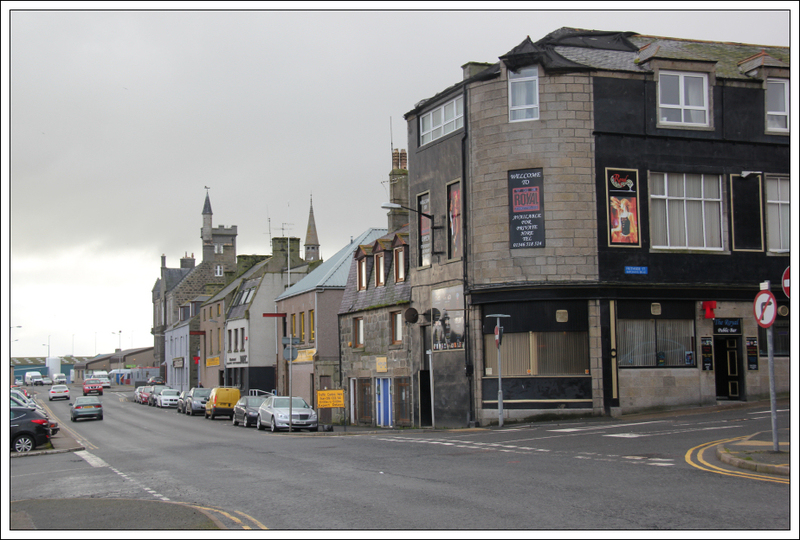 I have never been in the Royal nightclub, or in fact any pub or club in Fraserburgh. I’m guessing it would probably be a good night out? 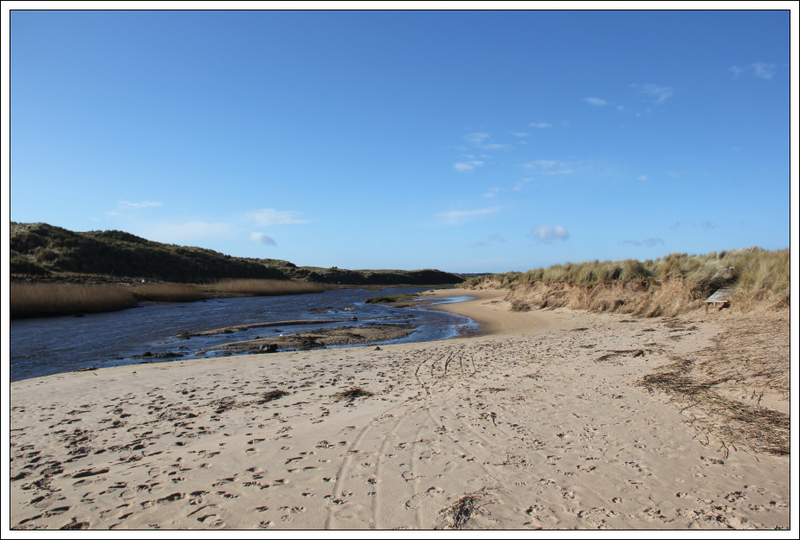 After passing the Caravan site, which was devoid of caravans, I made my way down onto the beach. 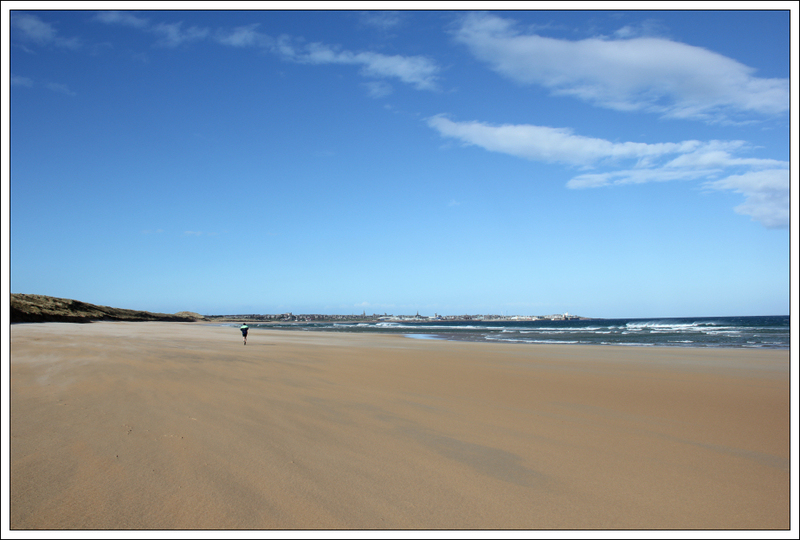 The beach from Fraserburgh out towards Cairnbulg/Inverallochy is superb! 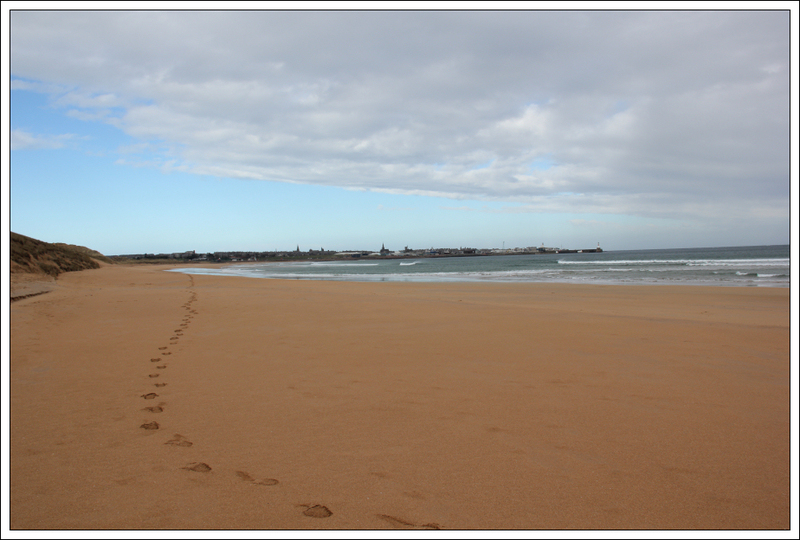 The beach is very clean with mile after mile of golden sand. 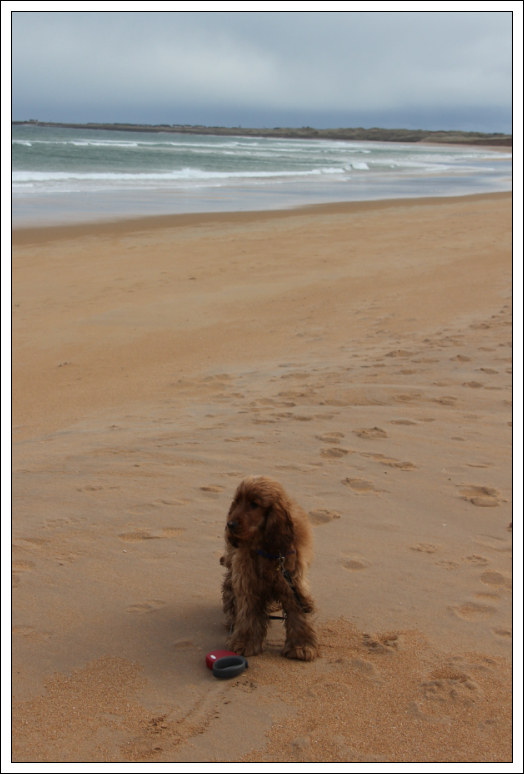 Cuillin really enjoyed the walk along the beach, as did I. 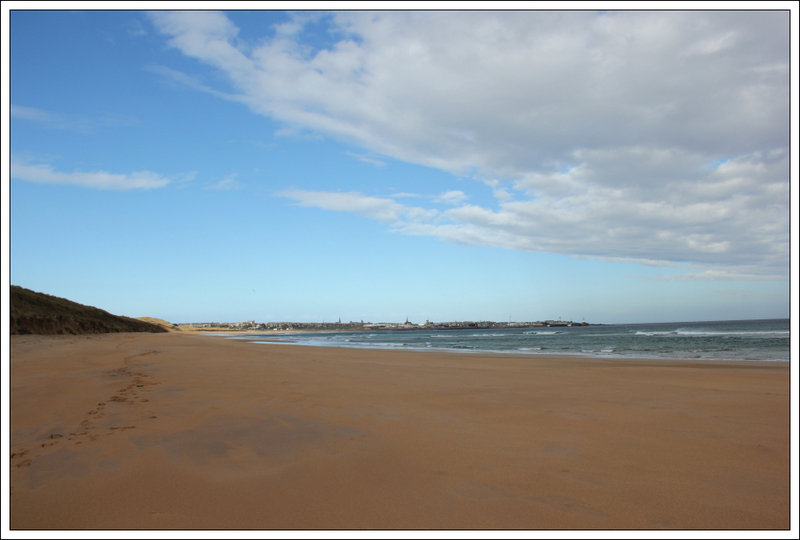 As we progressed along the beach, blue sky and sun replaced the cloud and showers. 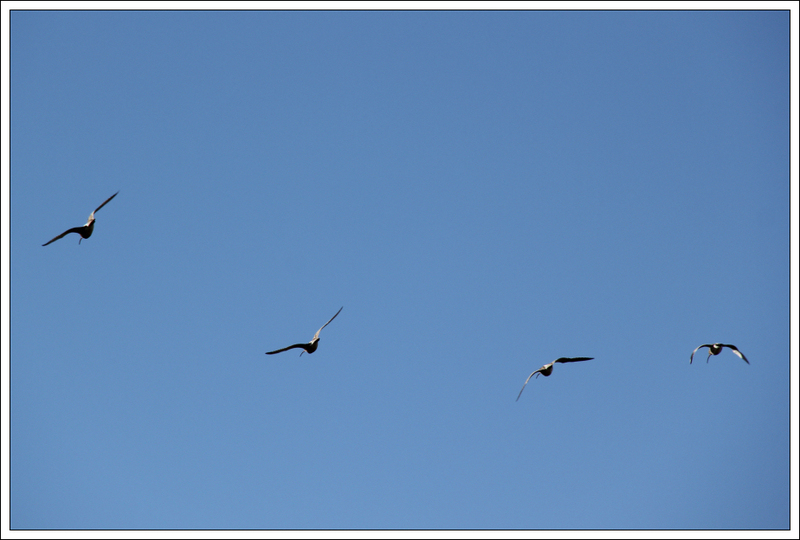 I wasn’t expecting the day to turn out so nice . 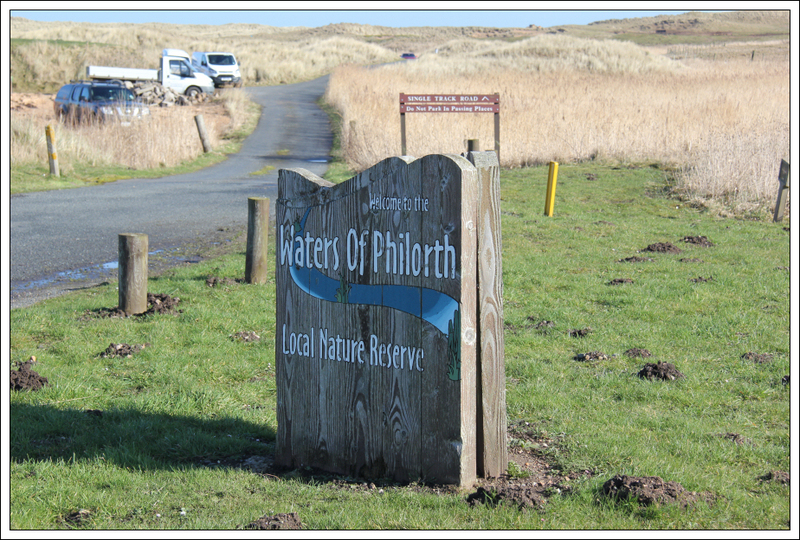 On reaching the Waters of Philorth, we were stopped in our tracks. This would be crossable with wellies or if you took off your socks and shoes and waded across, however, it was fairly smelly so I decided not to proceed through the water. Instead, we followed a track leading out to the B9033. 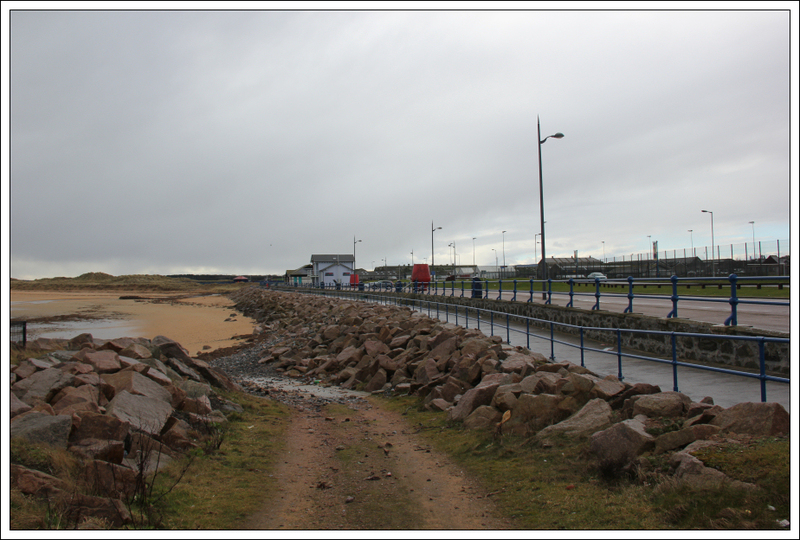 It was my intention today to walk as far as Cairnbulg or Inverallochy, however, due to there being cattle at the other side of the Waters and having Cuillin with me, I decided to leave the next section for another day. On reaching the B9033, I initially walked along the grass next to the road. 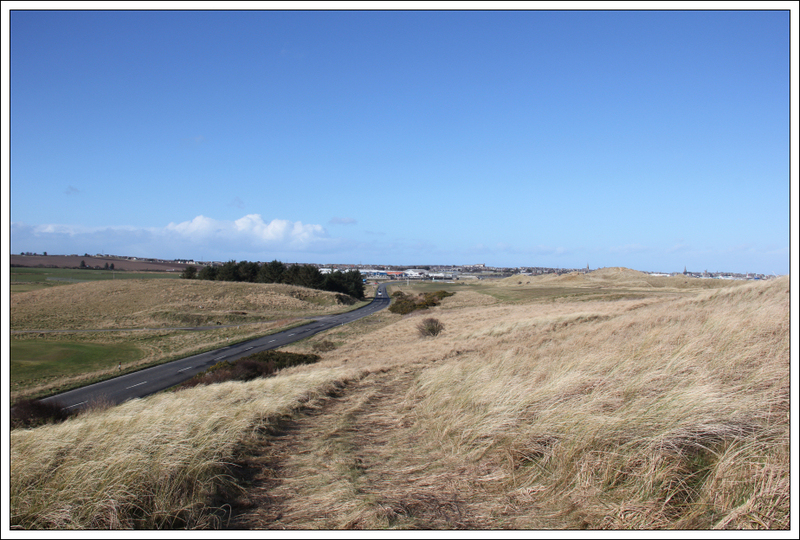 When the grass was replaced with gorse, I walked along the edge of the Fraserburgh Golf Course. 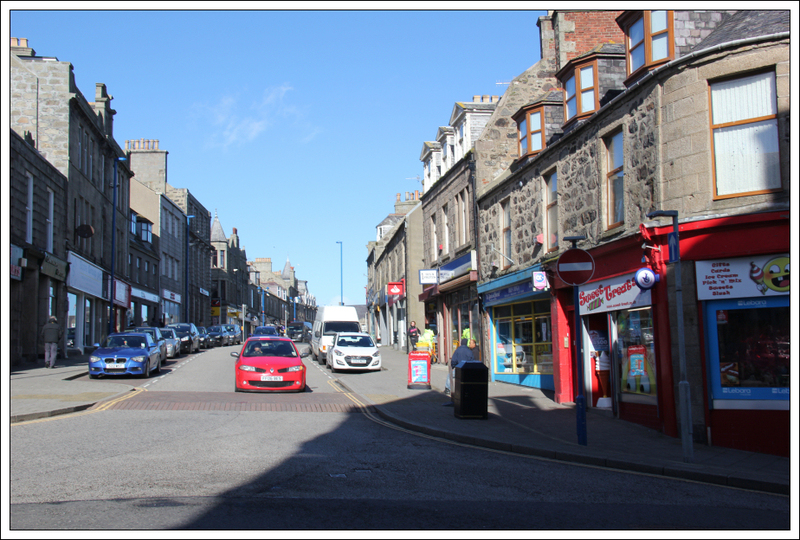 For a change of scenery during the walk back through Fraserburgh, we walked up into the Town Centre before continuing on back to the starting point of our walk.